Built 1874 by Horace Eduard Davinet. 1938 addition of a new wing. Demolished 1956 in favour of a new "Kursaal" (built 1956-1957 by Glaus). 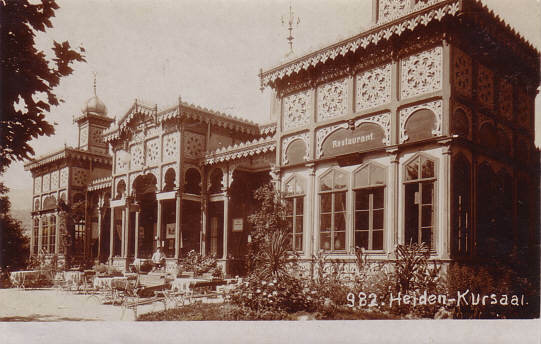 Front Text: "Heiden - Kursaal", inscription: "Restaurant"